Our day in Summerland will start at the Faulder Trailhead on the Trans Canada Trail. From there we'll ride down to where the trail intersects with Bathville Road and take a bit of a detour to Summergate Wines for a tasting. Then, it's back on the bikes and we'll ride back to access the trail right by the Kettle Valley Steam Train station. We ride through Conkle Mountain Park with spectacular views of Prairie Valley below us. Then, we descend to Fenwick and Fyffe roads, taking Simpson road for a quiet ride through Bottleneck Drive to Canyon View. We continue past the Bush Art Garden to the historic Trout Creek Trestle, then it's a short ride to Summerland Sweets for a quick ice cream stop (you've earned it!) 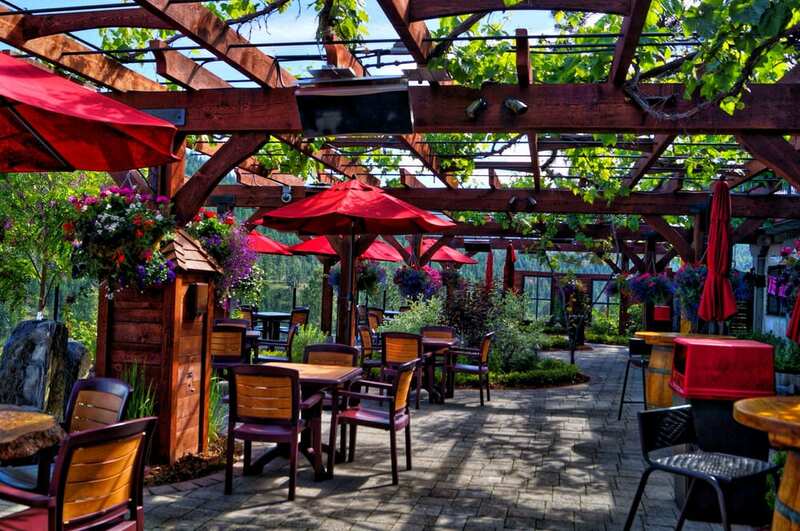 After, it's a short ride to our lunch stop, the beautiful patio at Dirty Laundry Vineyards. While you eat we'll pack up the bikes for our shuttle back to Kelowna!